3 Bedroom Semi Detached House For Sale in Godalming for Asking Price £350,000. 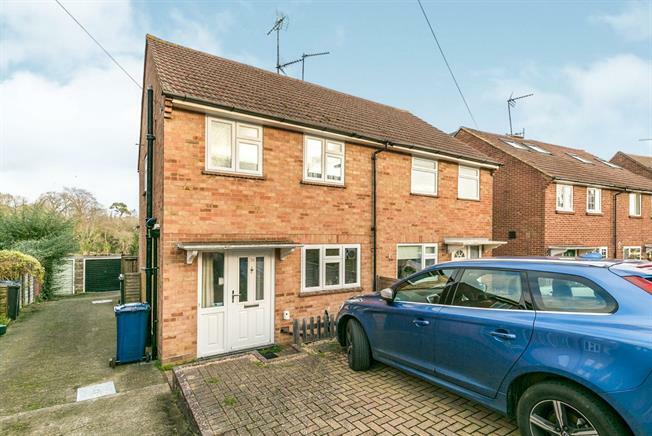 This well presented three bedroom semi-detached house, is located within walking distance of Godalming Station. It is offered to the market with no onward chain. There is a well proportioned kitchen breakfast with a range of eye-level and base units. The living room has glazed sliding doors into the conservatory, which offer views over Godalming. The conservatory opens out onto a rear patio area. On the first floor there are two double bedrooms, a single and the family shower with WC and basin. At the front there is off street parking, with side access to a single garage. The sloping rear garden is mainly laid to lawn, again proving views over the town.